Hillary is sanding with sand paper. Olivia is playing on the computer. and Mr Rankin we did technology. 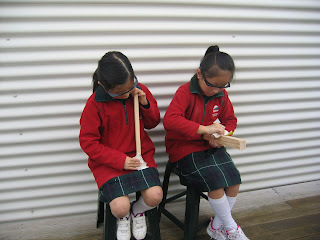 Our favorite activity was digger school, technic lego and building diggers.We enjoy it. Technology is cool and everyone has fun at technology. Practice your spelling words and you will be able to post things on your blog without having any mistakes at all! 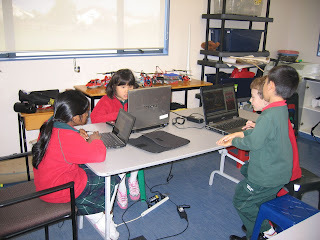 Last term when we were at technology we made lego helicopters played with some and even flew real helicopters too! I am sure when you guys get to our age you are going to do things at technology just like us.